Please avoid sharp objects or fingernails. 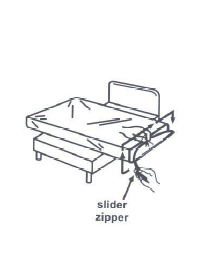 To prevent the mattress from bursting, leave the zipper open 1″-2″. 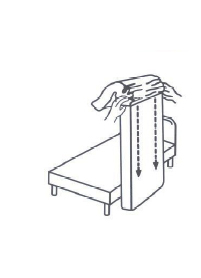 This will let the air out when the bed is sat upon. 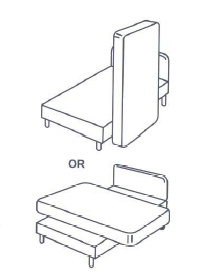 Position mattress either upright or across box spring. Without pulling at zipper ends roll back cover (like a stocking). Fit cover snugly over both corners at one end of mattress. Slowly slide and open cover over entire mattress – Smooth out- Famous “Drop leaf” front shall appear at opening. Close zipper – Dont yank or pull.